Today we got the brand new adidas Dame 3. This is the third Damian Lillard signature shoe model. Previous models were not else than a big success for adidas. Now let’s see whether the new Dame 3 is any better than the old generation Lillard 2. 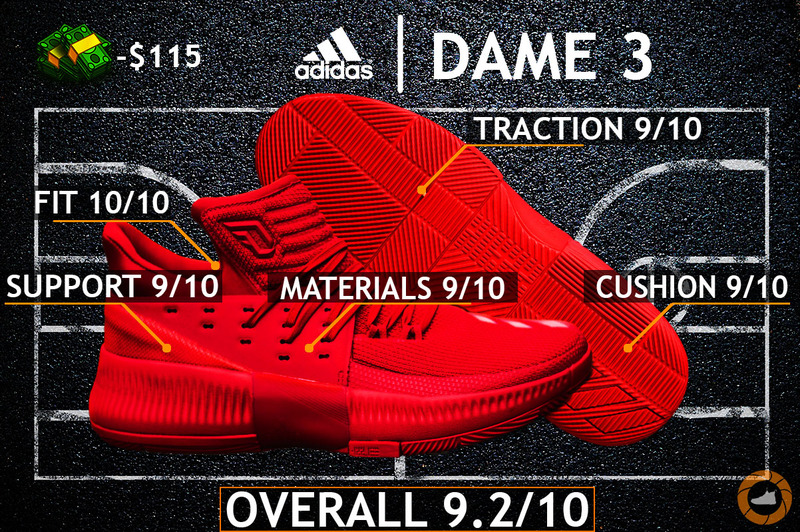 Welcome to my adidas Dame 3 Performance Review! Best Place To Buy: AMAZON | FINISH LINE NOW ON SALE! Dame 3 model is covered with FUSE MESH with TPU , this material provides with great support, stability and durability. Now in this case, for many models with these kind of materials, which provide that, the main disadvantages are lack of flexibility and comfort. But adidas is always looking forward to surprise us with something new! These materials are not just strong and stable but also very comfortable, flexible & breathable as well. When I first took my pair from the box, the first mind that came in my head was that the upper is so stiff, but when I put them on my feet, oh baby! Playing in these is just heaven, I’m telling you. The upper is so flexible and comfy, it looks like you are playing with socks. What we have here? We have a lot of tech to protect us from injuries and to make sure our foot is in the right place. Rubber cage on the sides, a mid foot shank, a small outrigger and a internal heel counter works A+. Also, adidas added a new lacing system, which allows to customize our fit, in result we got endless customization and even better support. 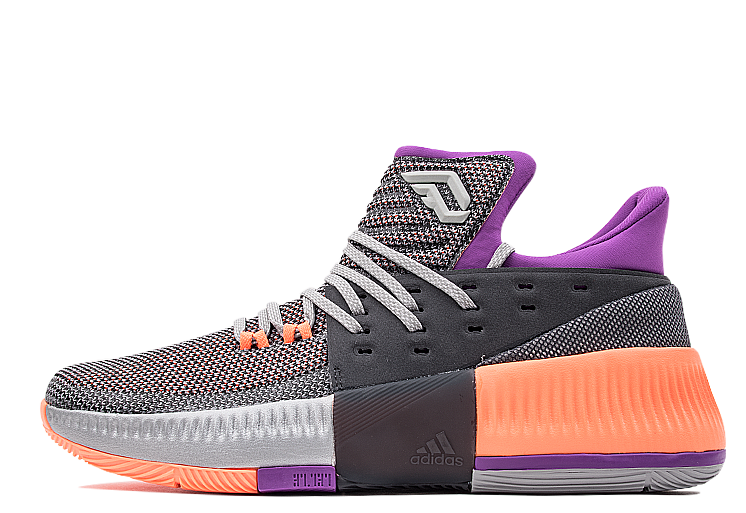 The support system in the Dame 3 is very similar to his brother’s Lillard 2 model and works just like that, amazingly good. I tested these bad boys for about two weeks and during this time I never twisted my ankle, it really tells a lot about support. 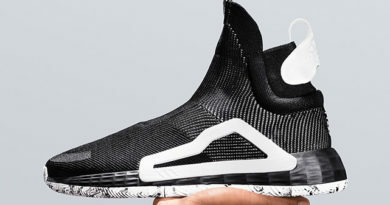 Like past model, The Dame 3 has BOUNCE cushion inside. 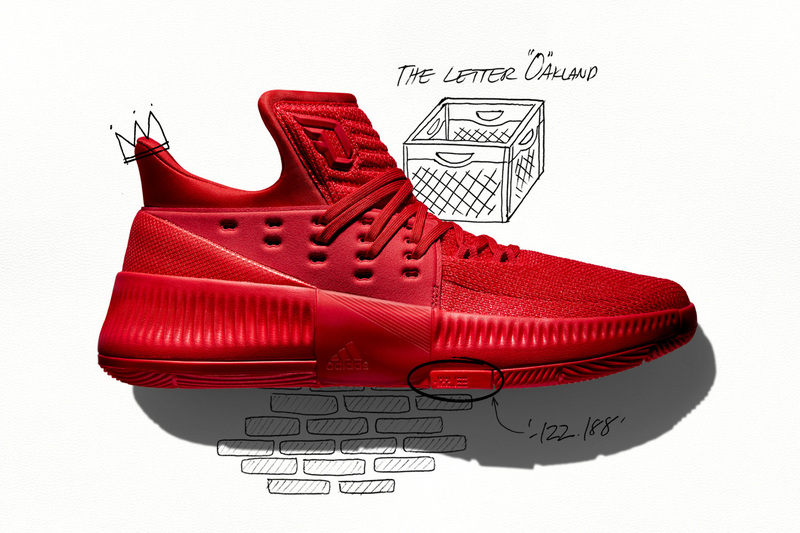 You want to guess how it works in new D. Lillard model? The answer is PERFECT! I don’t know how they make such a great cushion, but damn it works great. It feels almost like BOOST. BOUNCE cushion offers exquisite balance. It’s responsive and bouncy, in result we get a lot of impact protection and court feel. So, Dame 3 is suitable not just for guards, but also for bigger players like me. We have BLADE traction that looks very aggressive and this setup is not just looks aggressive, but it performs just like that. Pattern is multi-directional so it reacts to any move you make on court. Now, dusty courts was a problem to D. Lillard 2, but not for new model. On dusty courts Dame 3 model performs really well, not wonderful but good nevertheless. You will need to wipe periodically here or there. What’s interesting, this pattern is more dense than previous pattern on Lillard 2, but it performs better, good job adidas! The adidad Dame 3 is so comfortable! When you put these babies on, it feels like the shoe is made just for you and new support & lacing systems adds even more comfort for your feet. Fit is very similar to previous model, so if you have a pair of Lillard 2 just take the same size. Now for those who don’t have a pair I recommend to go half a size down. They fit a bit long but new lacing system helps not to notice a small gap in toe area. As I said, the upper is flexible, so I highly recommend to try these for wide footers, you won’t regret! 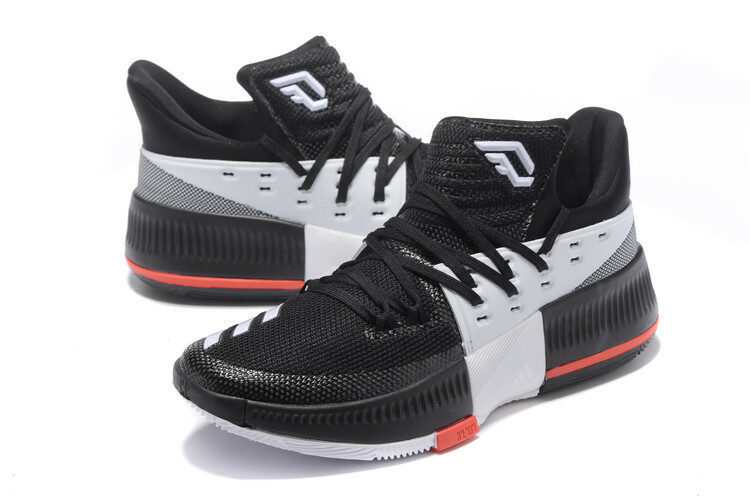 Dame 3 has everything you need to dominate on court: comfortable fit, lockdown support, responsive & bouncy cushion, amazing traction and one more thing – 115$ price tag.. For now, the Dame 3 is the best basketball shoe in 2017. Other brands should take notes how to make signature sneaker for affordable price. Better than Lillard 2? Yes, the new model is slightly better in every category. What can I say, another solid shoe from adidas. What do you guys think about the new adidas Dame 3? Comment down below! ← Nike Lebron 14 “BLACK ICE” – New Style for Lebron? 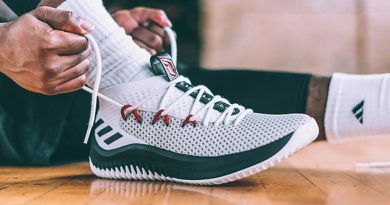 ADIDAS DAME 4 REVIEW – Another Performance MONSTER?! im not sure why but the left shoe gives me pain because of the stitch on the lower part of the tounge of the shoe..it leaves a mark after i wear the shoes for more than an hour…i cant play them for more than an hour…any suggestions? You should try to play around a little bit with the lacing system. The new unique lacing system allows you to make a custom fit. Just spend some time customizing it and I think you will solve this problem. witch is better? Damian Lillard 3 or Harden be? Both of these two are solid budget performers so you can’t go wrong picking one of them. 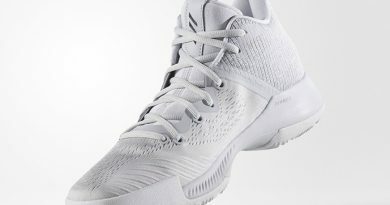 But personally, I would go with the Harden b/e just because they do feel much lighter letting you to do your thing without any hold ups. And of course, you can’t forget about that leather overlay, man. It’s a no brainer for this price. My son basketball team purchased these. They can’t keep them on. A player looses a shoe every game. Played a team last night with the same shoes, and a player on that team lost a shoe aswell. You should try adjusting the lacing system. Maybe that’s the main problem why they keep coming loose. There’re plenty of lace holes in the lacing system, so after messing around with them, you can make a perfect personal fit. Or just double knit them. I am 94 kg and an aggressive player..with a lot of cuts and jumps..i have some back problems the last years..i am interest on this,at crazylight boost 2106 low and at harden b/e..my mind is on the best cushion set up..your opinion please;i am playing only outdour.. Outdoor usage plays a huge role there, leaving behind the dame 3’s as the rubber compound is too soft for outdoor courts. Now talking about best cushion setup for your play style, the Crazy Light 2016 easily takes the cake from the harden b/e. It has that awesome blend between great impact protection with some bounce in the heel, and stability with solid response in the forefoot area for making you feel quick while making any move on court. Thanks a lot…keep up the good work.. Thanks for the support, bro! can i use these outdoors?